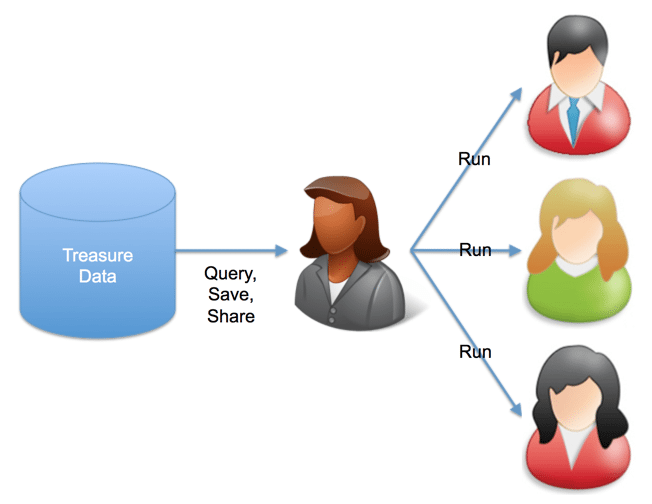 Treasure Data‘s mission is to empower data-driven companies to focus on insights. 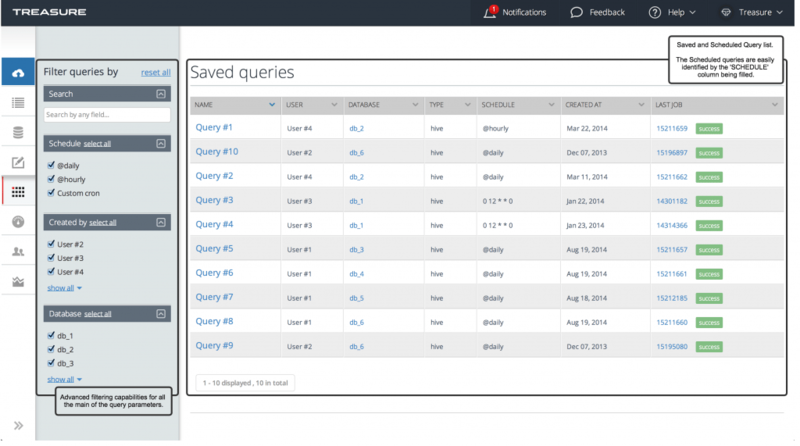 Last week, we added a significant feature, “Saved Query,” to our Web console for all of our customers. This feature allows people to easily share their ‘insights’ with other users on their account. People who can write SQL (e.g. engineers, data analysts, data scientists) can create a query to generate insights, then provide that query to others within their organization who may not know SQL but stand to benefit from the insights. The “Queries” link has been added to the left menu. Just click the tab to see all the saved queries. Previously, our service distinguished between ‘Scheduled’ and unscheduled queries. Now Schedule is an attribute of your Queries. Scheduled queries and other queries are only distinguishable based on whether there is an execution schedule associated with a query. We’re working hard to help people easily gain insights from data, and the web console is important for our users’ experience. We’re planning some more significant improvements to our console soon, so stay tuned!